That's the kind of blues I'm talking about! The Holidazed socks are donedonedone!!! Two more socks can be added to the YTD tally! ...and lots of knitting and photog were happening. All kinds of goodness graced our days! And check out that wonderful sunlight!! Beautiful blue. You can walk on air...or water. LOVELY! 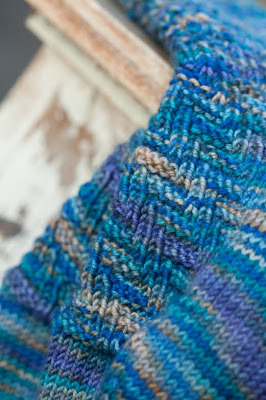 i need to knit about three more pairs of those; they are my favorite socks this year! 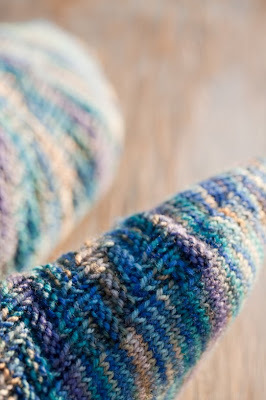 You'd think you'd run out of beautiful ways to take pictures of your artful socks! You are an endless supply of creativity and inspiration for others. This has put me in a "blue" mood! :) That's a good thing! 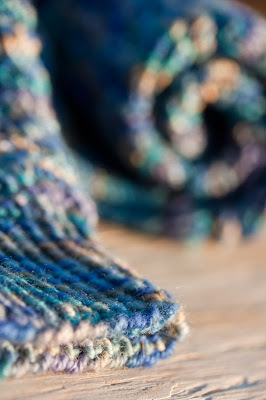 Thanks for always making me smile with your blog posts! Those socks are fantastic! I love the colors...what a good job you did! 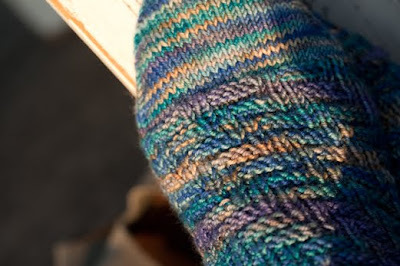 Is it just me or does the Holidazed pattern look so much like the Escalator Socks pattern? In any case, beautiful photography as always. My kind of blue!!! Beautiful! 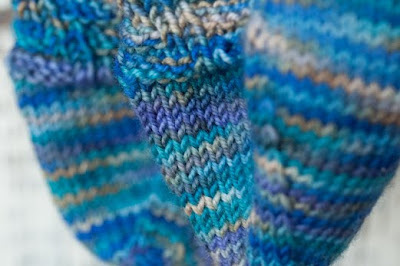 Yay for finished socks too!! Glad to hear you had a wonderful holiday!!! Looks like I have to copy your work again! My favorite color from BMFA... 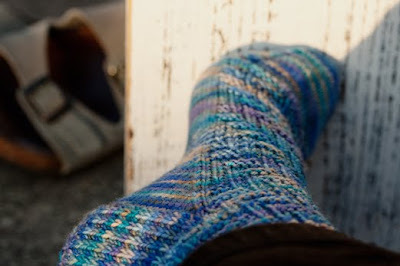 But first, I have to finish my Roger Socks - also from Knitspot. 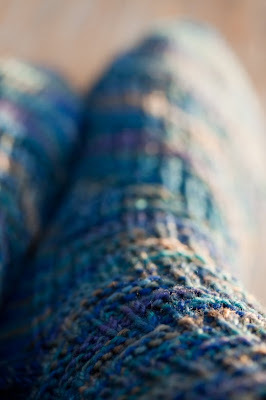 I love these blue socks and love to see what you are up to next here.. What a knitter you are! I agree with Anne. 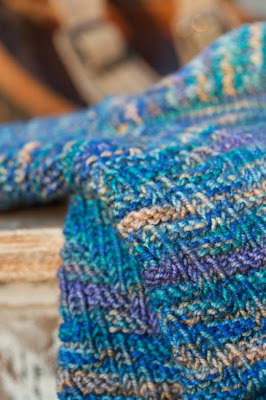 I have knit 2.5 pairs of these, such a fantastic, fun pattern. Love, love, love them in the Blue Brick Rd.